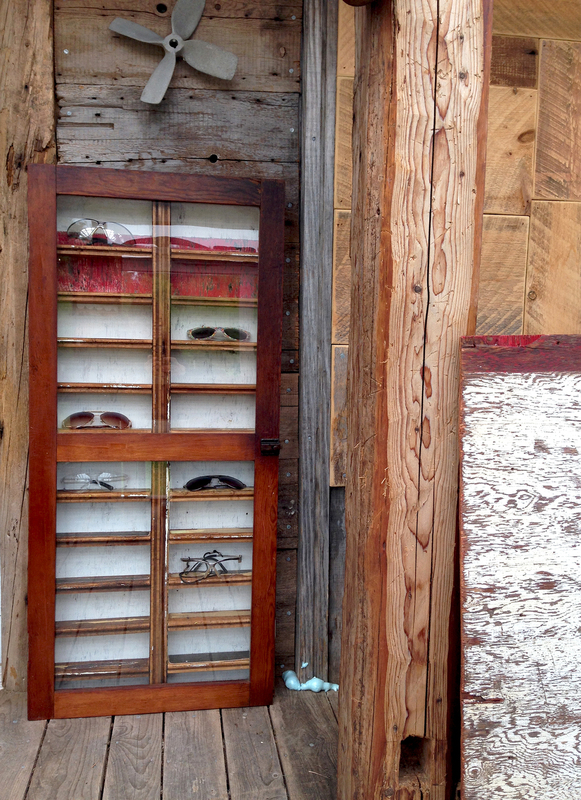 Lenny creates original artwork using smaller scraps of wood in his studio. Each new design is approached much like a painting: the wood is selected based on colour, texture, and its influence on the overall aesthetic. You can shop Lenny’s collections or you can commission pieces with specific dimensions, colours, themes - or variances on previous works. Large scale artworks for indoor or outdoor spaces. 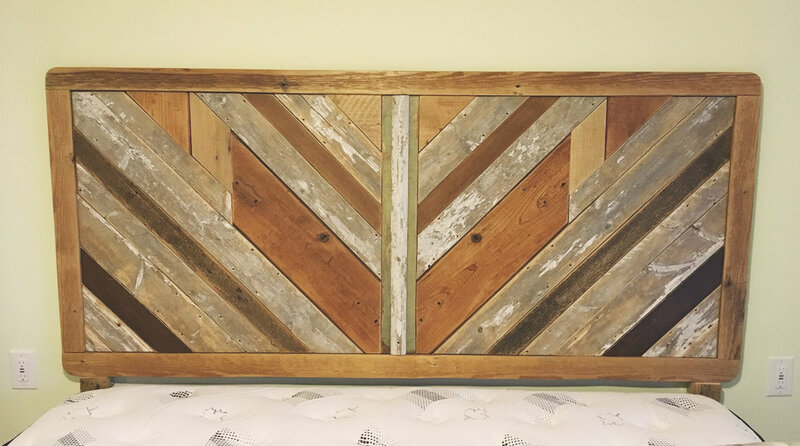 Design, build, and install a salvage wood feature wall to add striking visual interest to your commercial or residential space, indoor or outdoor. We work with you to come up with a design. You will be provided with a mock up version to modify and approve before we get started. We use barn board and scrap wood from our workshop that is sanded, cleaned and sealed with an appropriate finish for its location. We can incorporate specific colours and logos, or collaborate with our friends at Shiny Paint Art Co. to include hand painted lettering/signage. Time lapse video of Birdmouse designed feature wall for Upstreet Craft Brewing's tasting room in Charlottetown, PEI. Every piece Lenny creates is a one of a kind design and he thinks of it not so much as furniture as “art on legs”. For custom projects, please let us know the dimensions, styles you prefer, and, if possible, a picture of where the piece will be going so we can design with the space in mind. 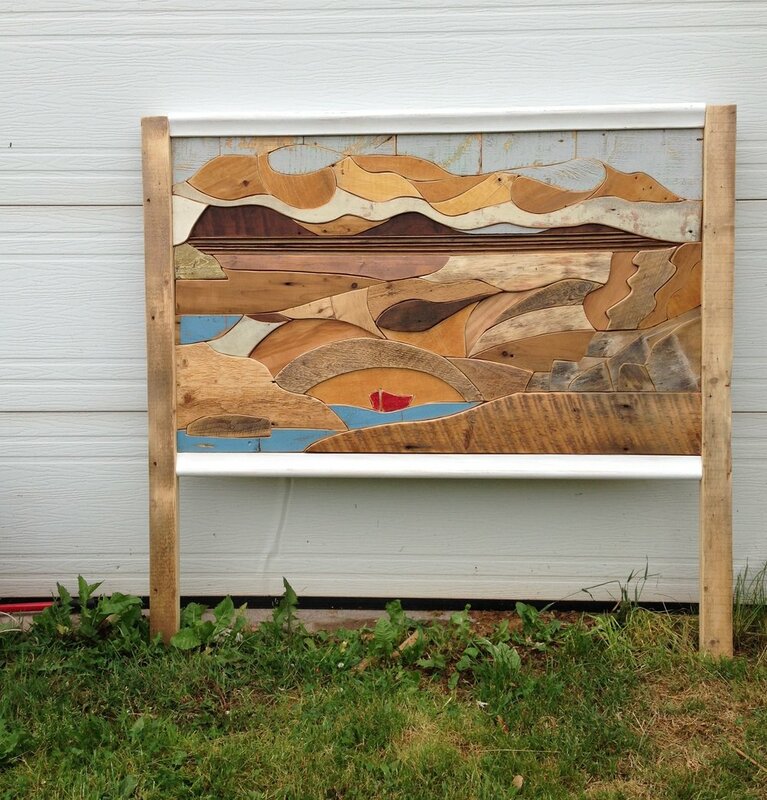 Lenny can create something from our current supply of salvaged wood - or from wood you provide. We get our modern style steel legs made by a local welder. Every piece Lenny creates is a one of a kind design. 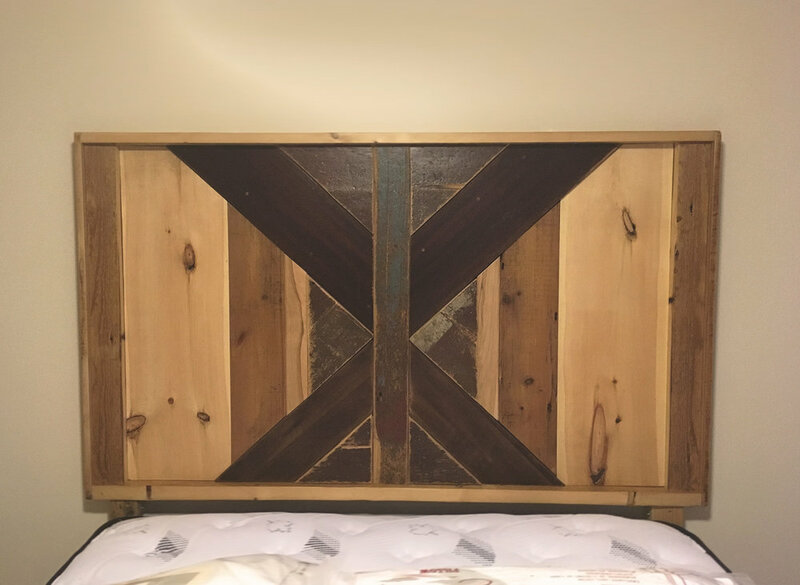 For custom projects, please let us know the dimensions, styles you prefer, and, if possible, a picture of where the piece will be going so we can design with the space in mind. 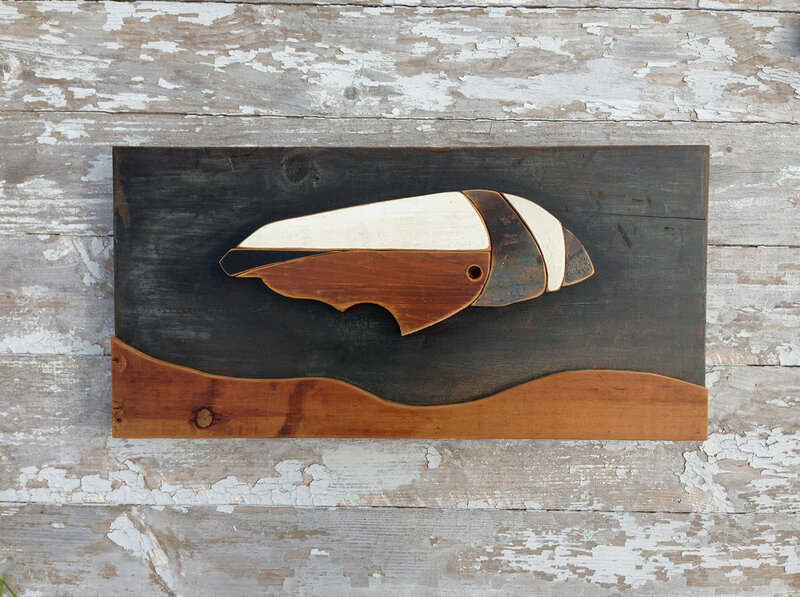 Lenny can create something from our current supply of salvaged wood - or from wood you provide. Heather Gallant designs reclaimed wood jewellery that makes a bold, earthy statement and teeters along the line between masculine and feminine. 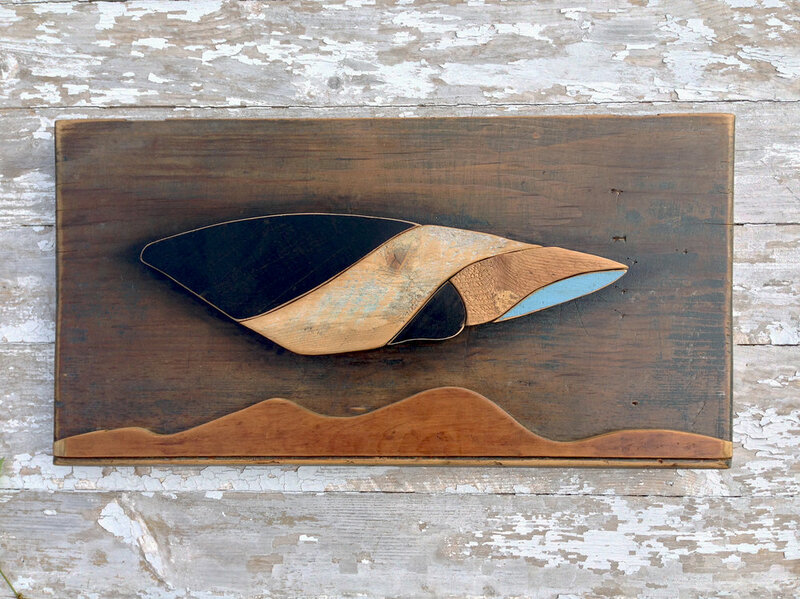 "I create pieces for the nature lover, the forest wanderer, the adventurer."